Microsoft is now accepting pre-orders – both in stores and digitally – for a premium version of the next entry in the Gears of War franchise. The Gears of War 4: Ultimate Edition (surely they could have come up with a less confusing name considering there’s already a Gears of War: Ultimate Edition, itself a remastered version of the original) includes a season pass valued at $49.99 that grants access to 24 additional DLC maps (two per month for a year) for private play on dedicated servers and a VIP Pack with additional weapon skins. Those who pre-order also get a Developer Playlist that grants access to new maps, modes and features for testing before their broad release, six Gear Packs that can be used to unlock character and weapon skins, emblems, equipment and boots, a limited edition SteelBook (for physical copies only) and last but not least, access to Gears of War 4 four days before its official worldwide release. Gears of War 4: Ultimate Edition will set you back $99.99 while the standard edition commands $59.99. As of writing, Gears of War 4 is still an Xbox One exclusive although given Microsoft’s recent push to bring Xbox exclusives to Windows 10, I wouldn’t be surprised to see a PC version announced in the near future. 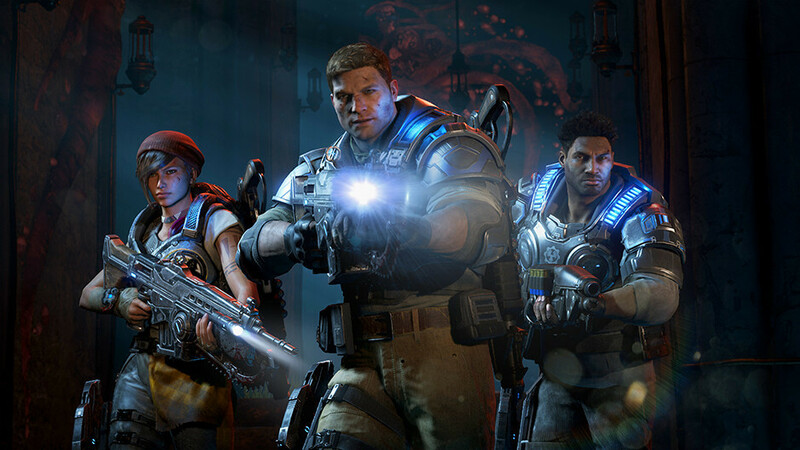 Gears of War 4 lands on the Xbox One on October 11.